Traveling with friends or family to Beto Carrero World? 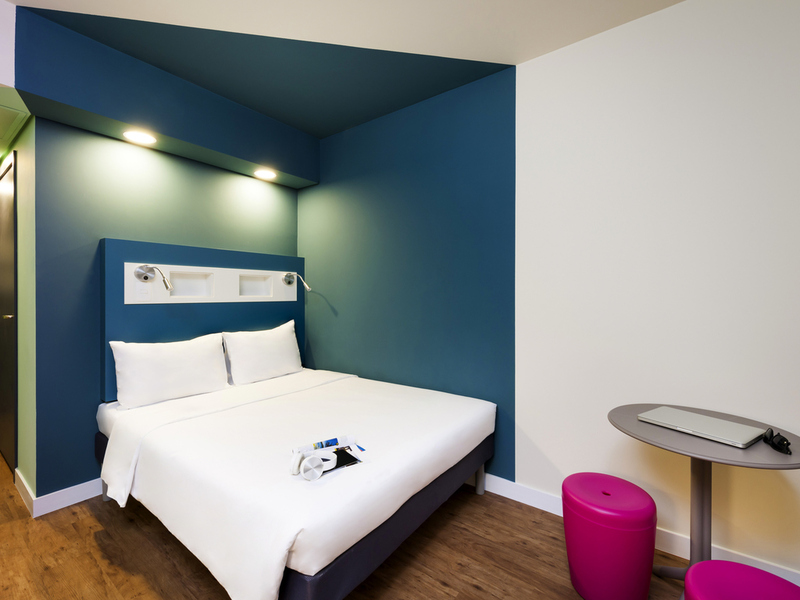 Stay at the ibis budget Navegantes Itajaí hotel, just 30 away minutes by ferry or via the BR-101. Use the same routes to reach Navegantes Airport. Discover Itajaí's beaches, including Atalaia, Brava and Amores. For those traveling for business, this hotel in Itajaí is near the Centreventos events center. The rooms are practical and modern, and sleep up to 3 people. The hotel also offers a delicious breakfast and a 24-hour convenience store. The 24-hour convenience store offers sandwiches, ready meals, hot and cold drinks, ice cream and hygiene products.